Over four collection days, Beccles Lions Club members, along with many volunteers from other local organisations, collected a total of £1710. 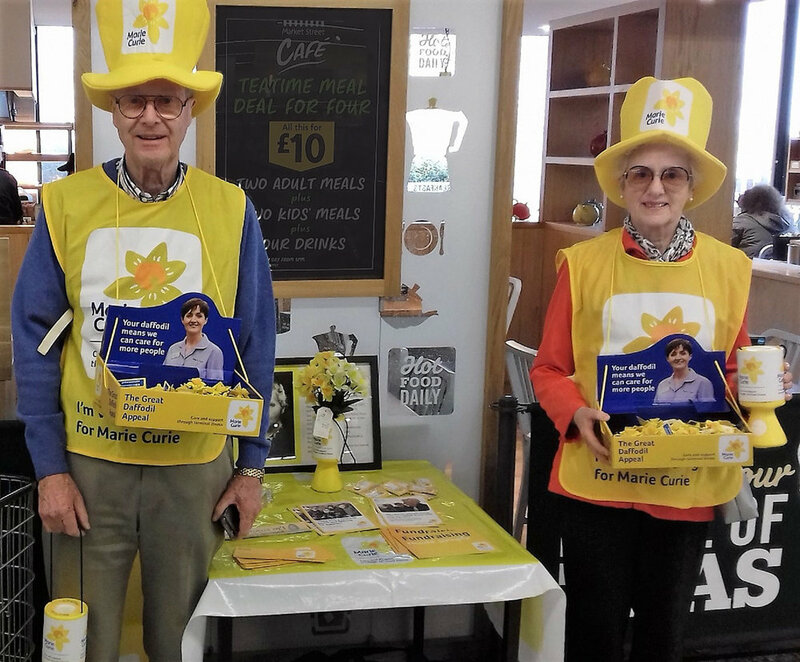 The Marie Curie Society would like to say a big thank you to the generous giving of the people of Beccles, as well as a thank you to the help and support of the volunteers over these four collecting days. If you wish to know more about the Beccles Lions Club and the work we do, please contact the Club Secretary Lion Janet Ramsden on 01502 514284 or explore this website and follow us on Facebook too. Equally if you are interested in becoming a member of Beccles Lions Club, then please telephone our Membership Chair Lion Keith Moore on 07717 488719. Club President Chris Lambert and his wife Carolyn helping with the Marie Curie Collections at Morrisons Beccles.